You are here: Home / YWCA Montreal / Employability Services / MOTHERS WORK INTEGRATION PROGRAM becomes WOMEN’S WORK INTEGRATION PROGRAM! Good news! 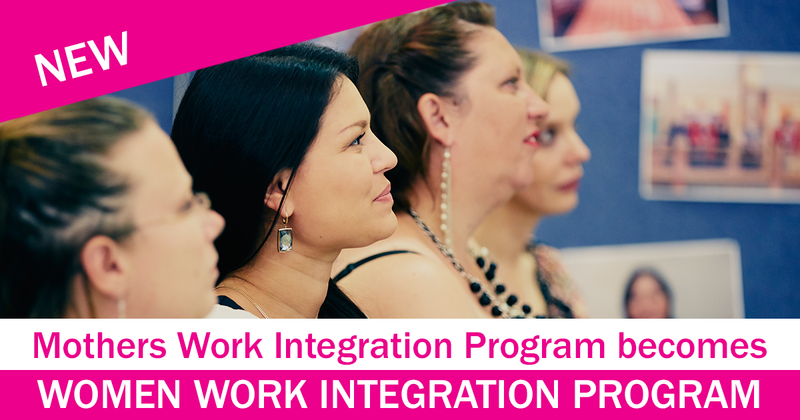 The Mothers Work Integration Program is now the Women’s Work Integration Program and is recruiting all women, with or without children. Are you a women looking for a job? A team of professionals will accompany and guide you in your journey to get you back into the workforce! WOMEN’S WORK INTEGRATION PROGRAM is an intensive 19-week training program, including an internship in your chosen field. The program includes group workshops, filmed interviews, group exploration of career options, introductory computer and language courses (French or English) and an approach that builds self-esteem. Benefit from the strength of a support group to get you back into the workforce! FREE program provided in French or in English, in collaboration with Emploi-Quebec. Meet the eligibility criteria of Emploi-Quebec. You can also fill out the form below and we will contact you as soon as possible to verify your eligibilty. Please note that, for confidentiality matter, our phone number will appear as a private number. Talk to you soon!